this past weekend i took an early Sunday morning walk up the street to Berkeley. and i stopped and had the most perfect breakfast at the Elmwood Cafe. 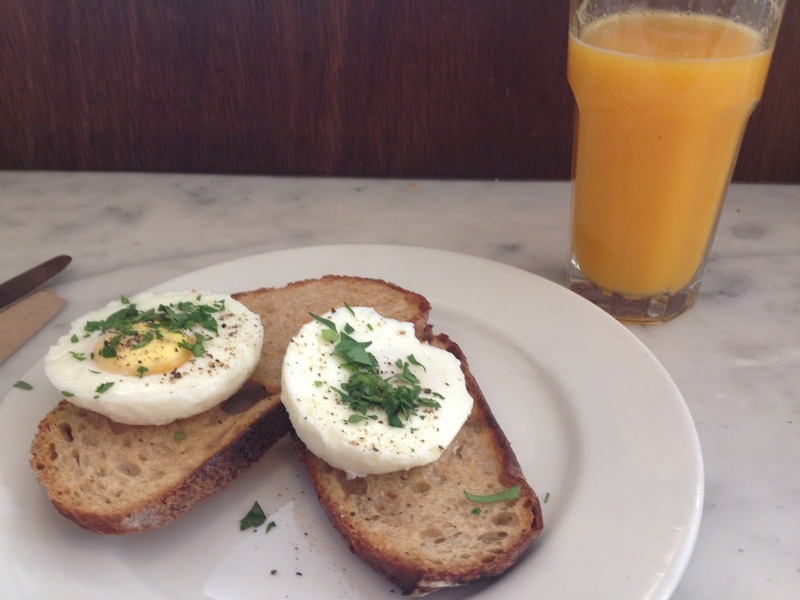 two poached eggs on top of their own slice of nice sturdy whole wheat toast. with a glass of fresh squeezed orange juice. and even a mcdonalds breakfast sandwich here and there. but there just isn't anything better than eating delicious wholesome food.